Born in the UK, Matthew emigrated to Australia in 1988, where he studied at the National Art School in Sydney winning the State Medal in 1993. He moved from his first workshop in Sydney to the mid-north coast of New South Wales in 1997. Here Matt built workshop and gallery, making ranges of tableware and woodfired pots in porcelain and stoneware. “I have always had a rather ‘split personality’ approach to my work, making very pure white translucent porcelain pots and much less refined woodfired pots, which are in some ways polar opposites. The differing approaches have helped me keep my work fresh and, though the techniques involved are specific to each, ideas that develop in one type of work carry over to inspire something new in the other. 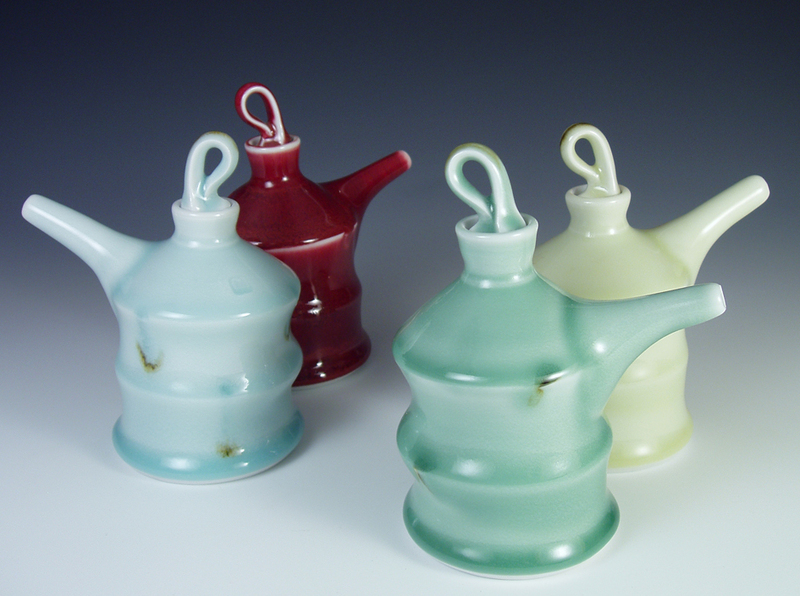 I have developed a range of techniques to help alleviate many of the problems associated with using porcelain. 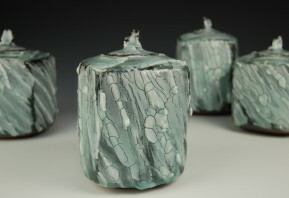 The glazes I use are rich and fluid and I often alter or texture the forms to emphasize the qualities of clay and glaze. Most alteration is carried out on the wheel while the clay is still soft. The forms I make for the wood kiln are based on relatively simple elemental shapes that will act as three dimensional canvases to illustrate the effects of the firing. Pots are often larger, enclosed and thrown in sections. 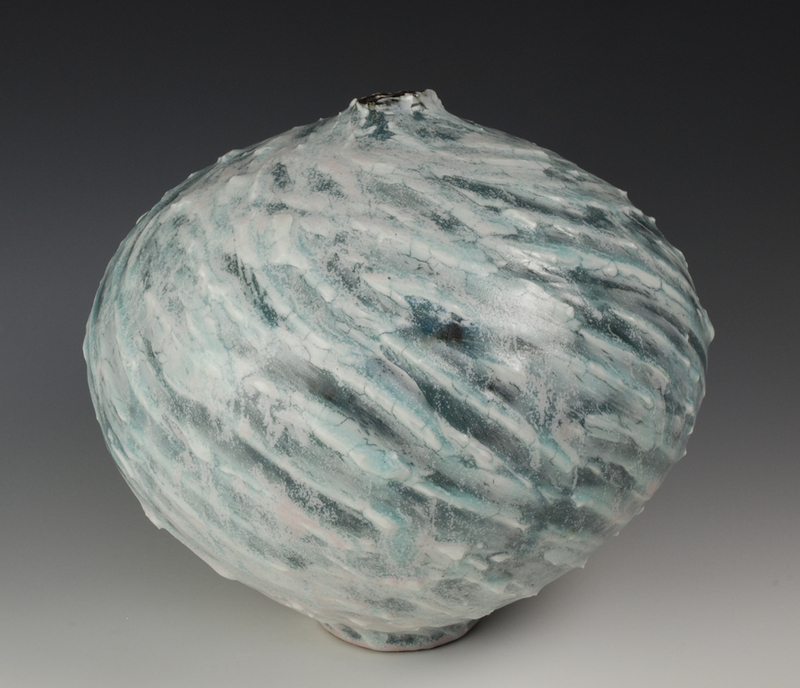 You’ll find further information and images of Matt’s pots on his own website.